Attention. 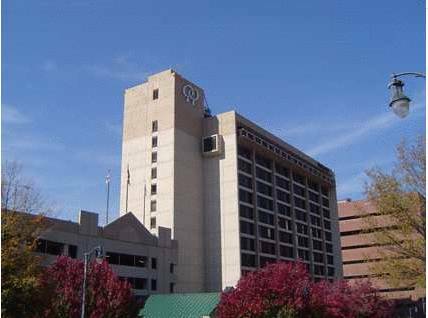 We are now taking reservations for University of Alabama at Birminghams graduation on Saturday April 29 2017 100 PCT NON SMOKING DoubleTree by Hilton Birmingham on the campus of University of Alabama at Birmingham /UAB/ is a contemporary urban retreat. Get down to business with BBVA Compass Southern Company Health South Regions Financial Corporation O*Neal Steel Southern Research Institute just steps from our door. Explore the city*s James Beard Award winning cuisine history arts and entertainment that bring you back to Birmingham time and again. Located in the vibrant 5 Points South district we*re just blocks from Region*s Park Uptown Lakeside and the BJCC Convention Center Complex. Navigating the city is easy with DART vintage trolleys and our complimentary shuttle service within one mile. Birmingham-Shuttlesworth International Airport /BHM/ is 15 minutes away and readily via our complimentary airport shuttle service. Our hotel in downtown Birmingham is ideal for events and celebrations. We offer a 24-hour business center and 15 000 sq.ft. of versatile meeting and event space with a ballroom two boardrooms and four breakout spaces. Walk through history at The Civil Rights Museum The Vulcan Park and Museum the Alabama Jazz Hall of Fame the Alabama Sports Hall of Fame and the Southern Museum of Flight. Explore downtown or take advantage of our close proximity to attractions like Region*s Field Birmingham Railroad Foundation The Birmingham Museum of Art The McWane Science Center The Alabama Theatre and The Lyric Theatre. Time your visit to experience one of the many seasonal events in the area including the Jamaican Festival the Magic City Brewfest Slossfest music festival St. Patrick*s Day Parade IndyCar Races Barber Vintage Festival Talladega Races the Veteran*s Day Parade the Sidewalk Film Festival Pepper Place Farmer*s Market and UAB Commencement Ceremonies. A CREDIT CARD GUARANTEE IS REQUIRED ON ALL RESERVATIONS AFTER 1800/6PM ARRIVAL TIME. INDIVIDUAL PLANS MAY VARY. SEE PLAN DISPLAY FOR MORE INFORMATION. What kind of a typist was Adolf Hitler? Perhaps that question can be answered by the star artifact at Bessemer's Hall of History. Impressively large scrap metal canine was sculpted in 1983 by Larry Godwin, who worked at a feed store. Now on the roof of an art center (formerly the town's first gas station) surrounded by outdoor sculptures such as a big fire ant and a robot made of cinder blocks.